Escape the urban bustle at Bondi Beach and The Opera House to the Botanic Gardens Walk. 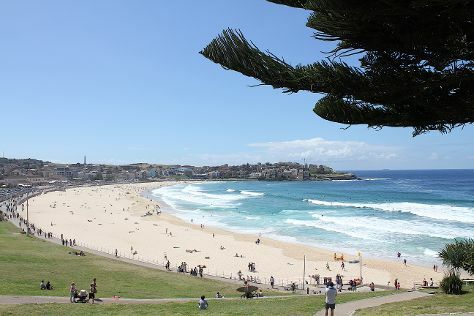 We've included these beaches for you: Manly Beach and Clovelly Beach. And it doesn't end there: admire the landmark architecture of Sydney Opera House, get to know the fascinating history of The Rocks, meet the residents at Sea Life Sydney Aquarium, and wander the streets of Darling Harbour. To find maps, ratings, reviews, and tourist information, read our Sydney driving holiday planning tool . Newark, USA to Sydney is an approximately 30-hour flight. The time zone difference when traveling from Newark to Sydney is 15 hours. Prepare for little chillier weather when traveling from Newark in September: high temperatures in Sydney hover around 71°F and lows are around 54°F. Finish your sightseeing early on the 29th (Sun) to allow enough time to travel to Melbourne. On the 30th (Mon), soar above the sights with a balloon tour, then enjoy breathtaking views from Eureka Skydeck 88, and then take in nature's colorful creations at Royal Botanic Gardens. On the 1st (Tue), you'll have a packed day of sightseeing: examine the collection at Melbourne Museum, then admire nature's wide array of creatures at Melbourne Zoo, and then get your game on at Zero Latency. For other places to visit, photos, more things to do, and more tourist information, go to the Melbourne tour planning website . Traveling by flight from Sydney to Melbourne takes 3.5 hours. Alternatively, you can do a combination of flight and shuttle; or drive. Traveling from Sydney in September, expect Melbourne to be little chillier, temps between 63°F and 44°F. Wrap up your sightseeing on the 1st (Tue) to allow time to travel to Adelaide. Kick off your visit on the 2nd (Wed): indulge your senses at some of the top wineries in the area. To find traveler tips, where to stay, and other tourist information, refer to the Adelaide trip itinerary builder tool . Traveling by flight from Melbourne to Adelaide takes 3.5 hours. Alternatively, you can drive; or take a train. In October, plan for daily highs up to 73°F, and evening lows to 52°F. Cap off your sightseeing on the 2nd (Wed) early enough to travel to Alice Springs. 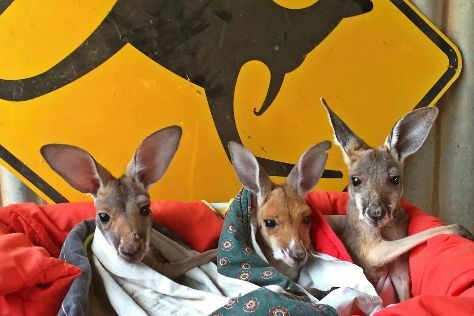 Start off your visit on the 3rd (Thu): get the lay of the land with Walking tours, then look for all kinds of wild species at The Kangaroo Sanctuary, and then explore the wealth of natural beauty at Emily Gap. For traveler tips, other places to visit, and other tourist information, go to the Alice Springs itinerary planner . Traveling by flight from Adelaide to Alice Springs takes 4.5 hours. Alternatively, you can drive; or take a bus. When traveling from Adelaide in October, plan for a bit warmer days and about the same nights in Alice Springs: temperatures range from 90°F by day to 57°F at night. Cap off your sightseeing on the 3rd (Thu) early enough to travel to Uluru-Kata Tjuta National Park. Get in touch with nature at Uluru and Valley of the Winds. There's still lots to do: take in the awesome beauty at Kata Tjuta, get outside with Walpa Gorge, take in the exciting artwork at Walkatjara Art, and trek along Uluru Hiking Path. To see more things to do, other places to visit, and other tourist information, go to the Uluru-Kata Tjuta National Park trip itinerary planning website . Traveling by combination of taxi and flight from Alice Springs to Uluru-Kata Tjuta National Park takes 2 hours. Alternatively, you can drive. In October, plan for daily highs up to 91°F, and evening lows to 60°F. Cap off your sightseeing on the 6th (Sun) early enough to travel to Cairns. On the 7th (Mon), look for all kinds of wild species at Wildlife Areas. On your second day here, identify plant and animal life at Hartley's Crocodile Adventures and then enjoy the sand and surf at Palm Cove Beach. To see maps, reviews, ratings, and more tourist information, you can read our Cairns trip tool . 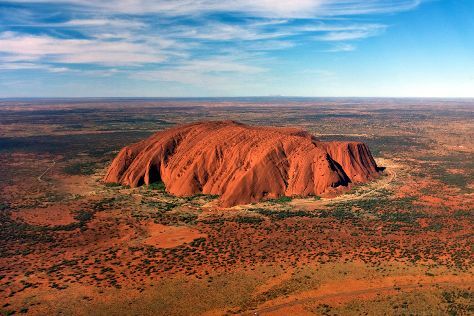 You can fly from Uluru-Kata Tjuta National Park to Cairns in 5 hours. Alternatively, you can drive. When traveling from Uluru-Kata Tjuta National Park in October, plan for a bit cooler days in Cairns, with highs around 85°F, while nights are somewhat warmer with lows around 69°F. Finish your sightseeing early on the 8th (Tue) so you can travel back home.